Denver, CO: The Sweet Times in the Rockies Sugar Art Show will be held in conjunction with the Colorado Fall Home Show at the Colorado Convention Center September 7-9, 2018. This will be the 12th year for this show, which features sugar artists doing the most exact and painstaking designs out of different sugar mediums. This year the theme is “Fairytales.” Sugar artists will focus on fairies, dragons, and anything inspired by Fairytales. Not every category is required to follow the theme so you may find your next birthday or wedding cake among the entries. This is an opportunity to challenge yourself and meet others who share your love of all things sugar. The competition is open to everyone from kids to adults. The whole family can register and join in the fun. The competition is not like live TV, so no one will be constructing or moving their pieces/cakes. However, these designs will leave everyone in awe and wondering just how these artists could pull off such feats with sugar. The show coordinators encourage people to enter their works of love into our sugar art competition. Sugar art classes will be held during the show. So go to www.cowyices.org for more information and to register. On Facebook and Instragram, Sweet Times in the Rockies-Cake Show. 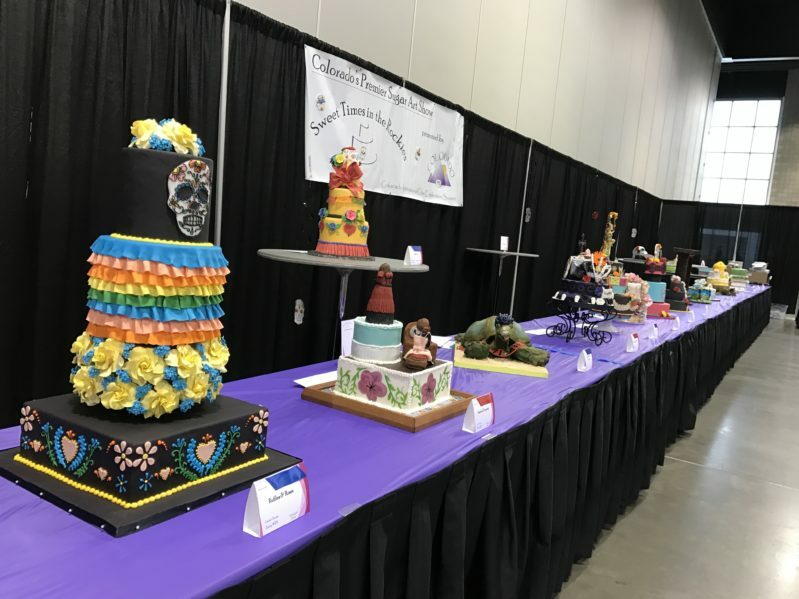 About The International Cake Exploration Societé: The International organization was established in 1976, and we have been wowing and loving everyone with our sugar creations ever since. The Colorado/Wyoming Chapter is a group of sugar artists/cake designers that love our trade and are always looking for other artists to share our love of sugar.